Located at 251 Walnut St.
Havenwood accepts Medicaid, EAEDC, as well as private funds as source of payments. We accept Medicaid, EAEDC, SSI, SSA, VA and private funds as source of payments. Havenwood Rest Home, established in June of 1982, is a 41-bed; level IV, licensed community support facility owned and operated by the DiSanti family. 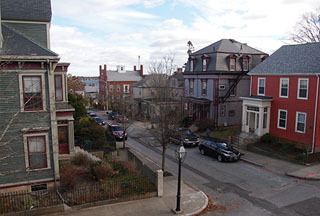 Located in New Bedford, MA, our city setting is not far from churches, restaurants, and parks. The majority of our rooms house three individuals per room with a few double room accommodations. Bathrooms are located in common areas outside of bedrooms as well. There is no smoking in the facility and residents are free to leave the facility and return for meals and bedtime. 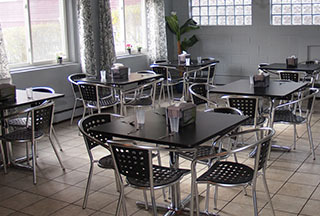 Havenwood Rest Home is conveniently located in a city setting close to churches, restaurants, shopping, and parks. From a beautifully renovated dining area to spacious and comfortable television viewing room, you'll feel right at home. 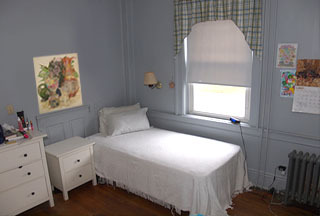 The majority of our rooms are three to a room with a few double rooms. They are neatly organized and arranged nicely. What is a Community Support facility? Havenwood Rest Home is a community support facility. Residents who have a mental health diagnosis and consent to this program will work with a service support coordinator. The coordinator’s responsibility is to coordinate services that are in the resident’s mental health plan. Together, a psychologist, therapist, support coordinator and the resident work to design their individual service support plan. Havenwood has trained staff in the facility at all times. Responsible persons work in the nurse’s station and medication is dispensed to residents as indicated by doctor’s orders. If necessary, they will remind residents to perform tasks of personal hygiene. Residents have a bi-yearly visits from a primary care physician and staff will seek medical advice when necessary. Meals are prepared three times daily and residents enjoy snacks three times per day. Laundry and housekeeping are done daily. Activities for residents are performed 9AM – 1PM, Monday through Friday. Havenwood uses many Adult Daycare programs and other recreational services provided in the community. Hairdressing, dental care, optometry, podiatry, dietary, skilled nursing services, money management, and Rep-Payee services are all provided in-house and can be assessed with consent of the resident.